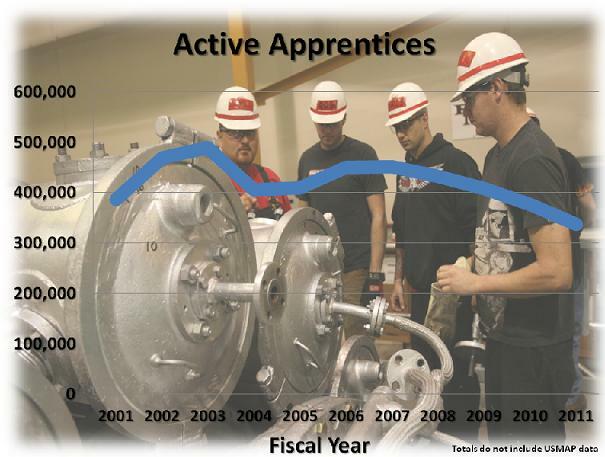 In FY 2011, more than 130,000 individuals entered the apprenticeship system. 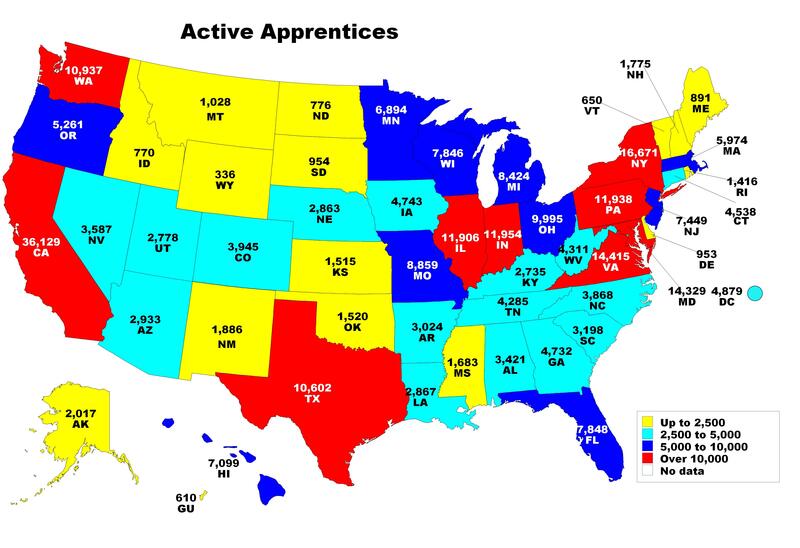 Nationwide, there are more than 398,000 apprentices currently obtaining the skills they need to succeed while earning the wages they need to build financial security. 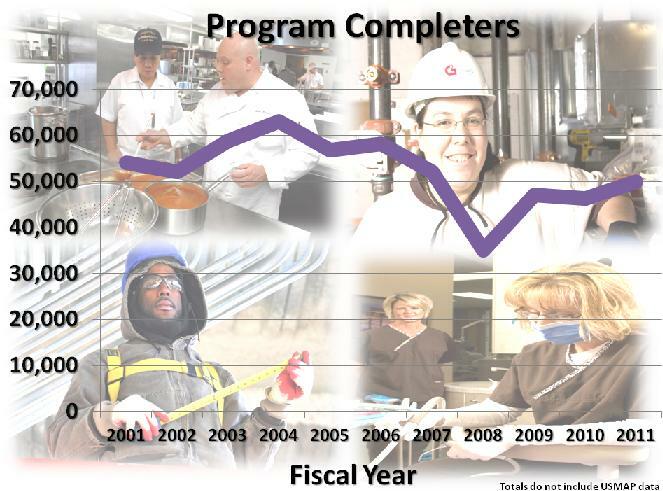 In FY 2011, over 55,000 graduated from the apprenticeship system. 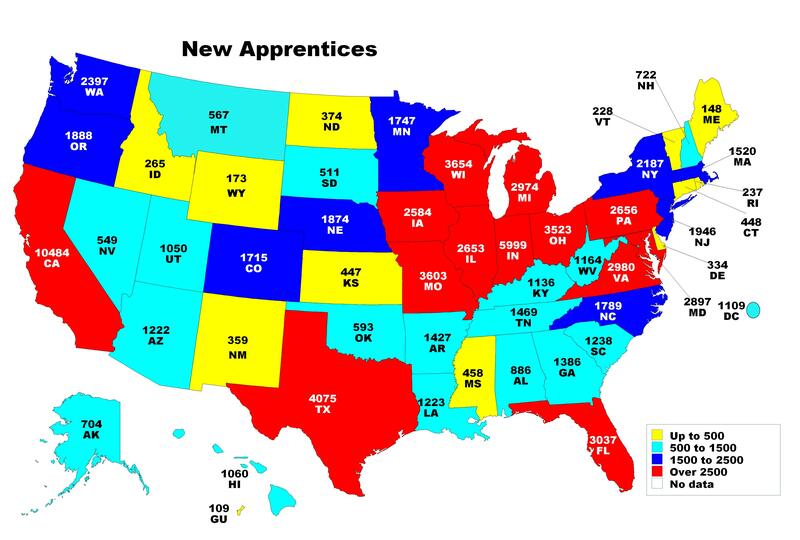 There are approximately 25,000 registered apprenticeship programs across the nation. 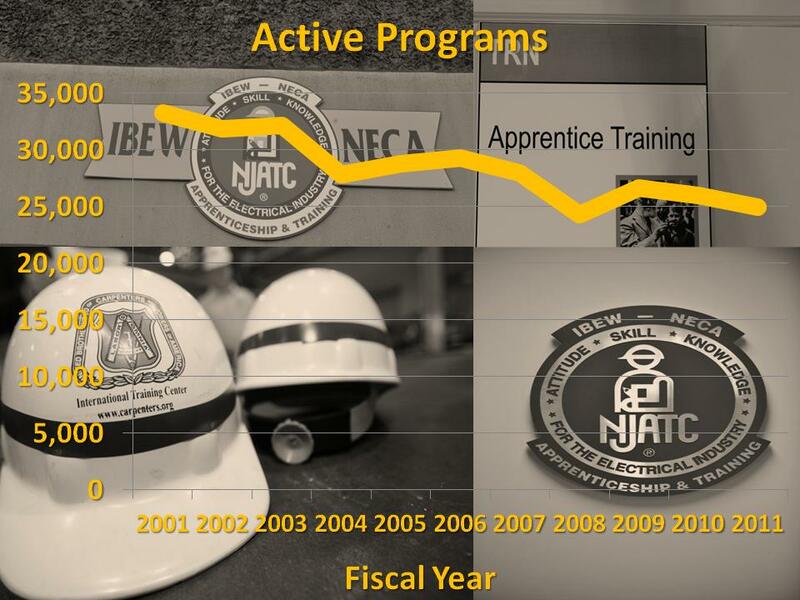 In FY 2011, 1,400 new apprenticeship programs were established nationwide. DATA NOTE: DATA NOTE: The data in the occupation table above is from 33 states. 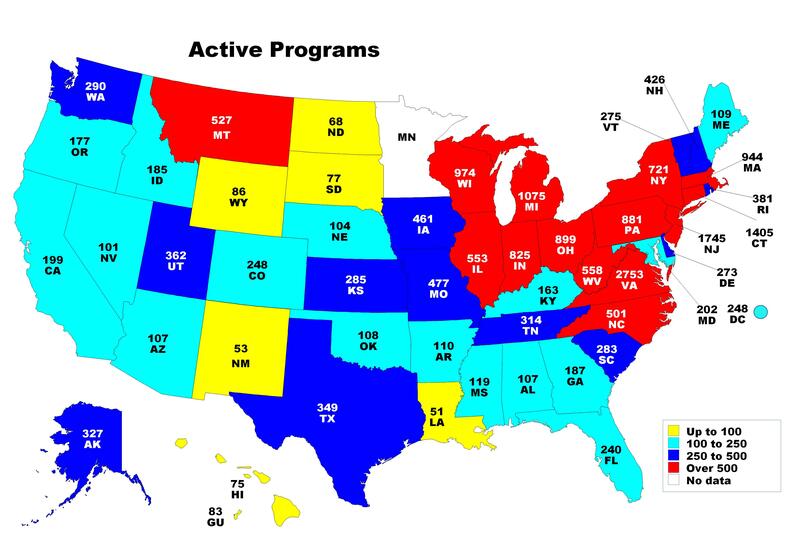 The Registered Apprenticeship Partners Information Management Data System (RAPIDS) is used by 25 Office of Apprenticeship (OA) states and 8 of the 25 State Apprenticeship Agency (SAA) states.